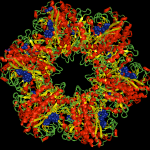 We engineer biomolecules with unusual physical properties and use them to image and control biological function non-invasively, e.g. using magnetic fields and sound waves. Imaging and controlling cellular function with ultrasound. New molecules and mechanisms for genetically encoded MRI contrast. 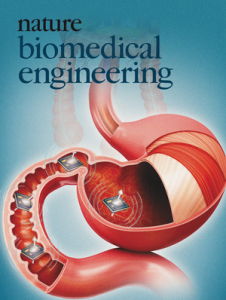 Biophysics of neuromodulation with ultrasound and other forms of energy. 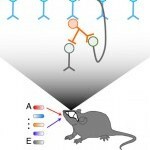 Multiplexed chemical control of the nervous system. Congratulations to Manuel, Audrey, and our collaborator in Electrical Engineering Azita Emami on the publication of a new approach to localizing microscale integrated circuits in the body using the principles of nuclear magnetic resonance. Monge M, Lee-Gosselin A, Shapiro MG*, Emami A*. Localization of microscale devices in vivo using addressable transmitters operated as magnetic spins. Nature Biomedical Engineering 1, 736-744 (2017). 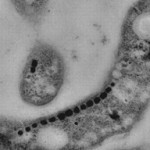 Interested in making your own gas vesicles for ultrasound or MRI? An (excruciatingly) detailed protocol on GV production, purification, functionalization and imaging has just been published in Nature Protocols. Thanks to Anupama, George, Arash, Suchita, colleagues and collaborators on putting together this valuable resource. Dana Point, CA, August 26, 2017. 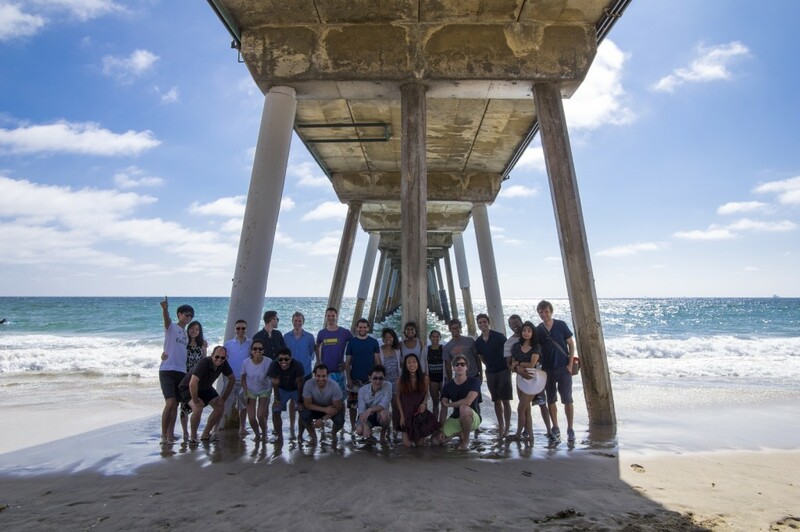 Thanks to all the lab members, collaborators and friends who joined us! 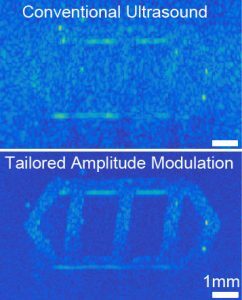 Congratulations to David, Anu, Audrey, Johan, Yu-Li, Ray and our collaborator Dennis Kochmann on their article in Applied Physics Letters describing the development of nonlinear pulse sequences to maximize ultrasound contrast from gas vesicle protein nanostructures. 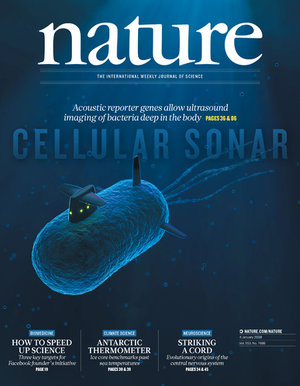 See also a complementary article in Ultrasound in Medicine and Biology with collaborators at UofT detailing gas vesicles’ acoustic behavior. 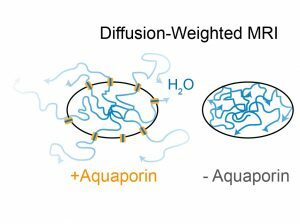 Congratulations to Arnab, Di and Hunter on their article in Nature Communications describing the membrane water channel aquaporin as a new class of reporter genes for magnetic resonance imaging. Congratulations to Dan, Mohamad, Brittany and Audrey on their article in Nature Chemical Biology describing the development of “bacterial thermostats” that allow microbial therapeutics to be controlled remotely using ultrasound, respond to fever, or know when they have exited their host. 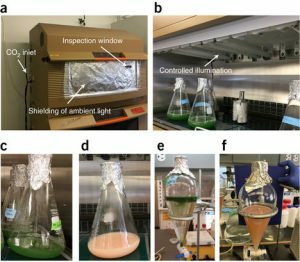 Article: Tunable thermal bioswitches for in vivo control of microbial therapeutics. 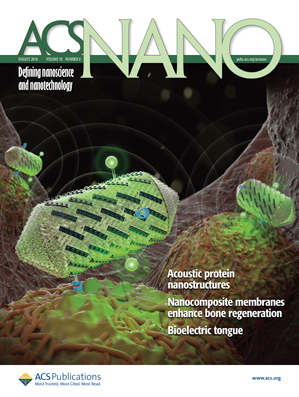 Congratulations to Anupama, Arash, Suchita, Audrey, Ray and David on their cover article in the September issue of ACS Nano! 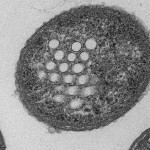 Their work describes how gas vesicles can be engineered at the level of their protein composition and sequence to exhibit new acoustic properties and molecular targeting. Hermosa Beach, California, July 16, 2016. Thanks to everyone who came!